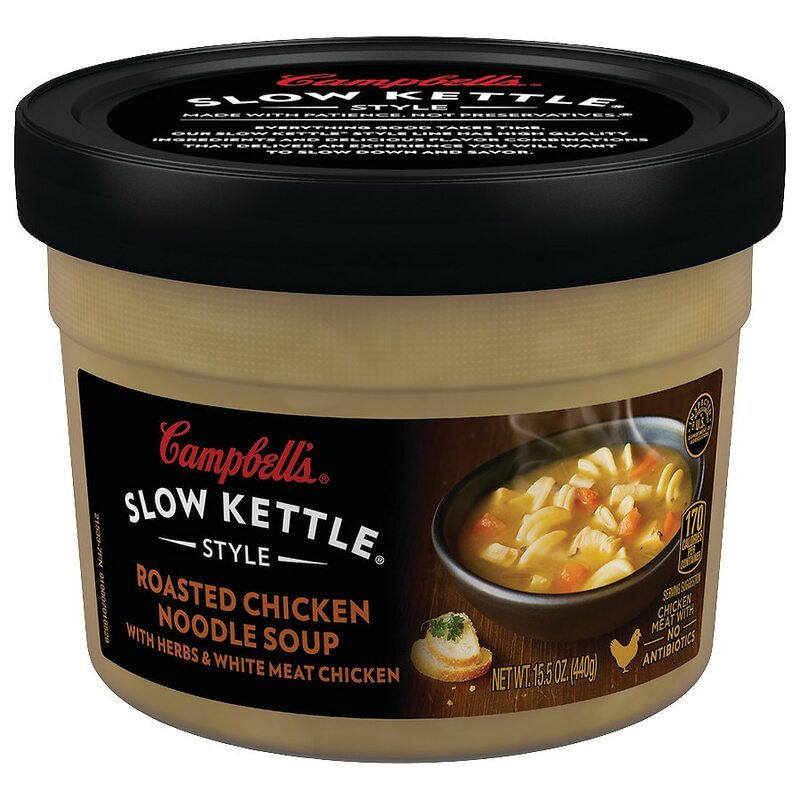 Enjoy the premium version of a classic favorite by the spoonful with Campbell's® Slow Kettle® Roasted Chicken Noodle Soup with Herbs & White Meat Chicken. Premium white chicken meat with no antibiotics, enriched egg noodles and veggies are slowly simmered together creating a flavorful, comforting soup. Satisfaction guaranteed. If you have questions or comments, please call 1-800-257-8443. Please have code and date information from container. For best results use stove top instructions. Stove: Heat gently over medium heat in saucepan, stirring occasionally. Microwave: Microwave ovens vary. Time is approximate. Uneven microwave heating may cause popping, movement of container and/or splattering.